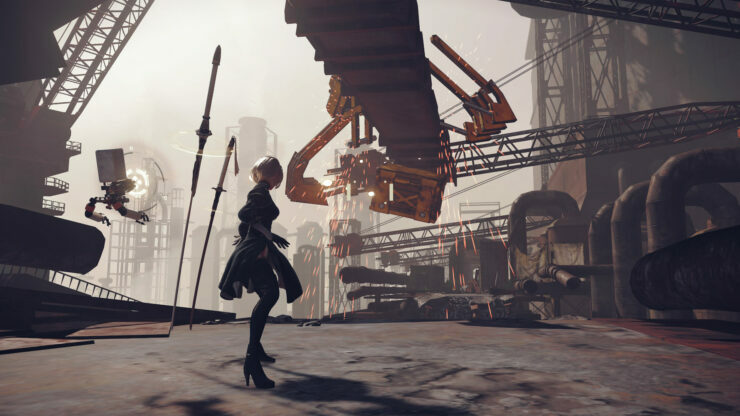 NieR: Automata won the preference and recognition of the players as the quality of work shown by Platinum Games left satisfied those who acquired the game. Famitsu recently published an interview with the developers of the title where Yoko Taro, the director of the game, Yosuke Saito, producer, Takahisa Taura, designer, Keiichi Okabe, composer and Akihiko Yoshida, designer of characters, revealed their intentions for an upcoming project. At first, Yoko Taro stated that one of the possibilities would be to make a remake of NieR, but this would depend directly on Square Enix. Subsequently, Yosuke Saito took the floor and mentioned that he would be willing to work on a remake of NieR if Yoko Taro was involved and if they could include new elements to the title. In addition, he stated that this would also depend on the expectations of the fans. For his part, Takahisa Taura raised the stakes and said that as a representative of Platinum Games and given the great work done in NieR: Automata, the motivation is high to make a sequel and personally he has all the willingness to work on a second entry. Finally, Akihiko Yoshida revealed that the process of creating characters for NieR: Automata was complicated because it was preceded by the great work done in that field for NieR, so that he had a lot of pressure on his shoulders but in the end he achieved the objective and the designs of NieR: Automata were well received by the community. Despite this, the creative assured that if there was a new title of the franchise he would be happy to participate. NieR: Automata is already available on PC and PlayStation 4. Check Kai’s glowing review of the game here. Although it might not be a perfect game, the sum of NieR: Automata’s unique storytelling meshed with Platinum Games’ style of action, meld together into a title well deserving of being one of my personal Games of the Year.